“Health is the greatest gift, contentment the greatest wealth, faithfulness the best relationship.” ~Ritu_Ghatourey. 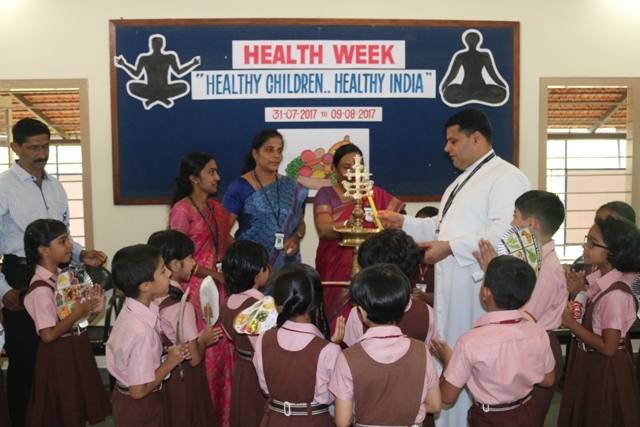 Healthy Children Healthy India –the health week at Lourdes Central School was inaugurated on 31-07-2017 by Father Principal Rev. 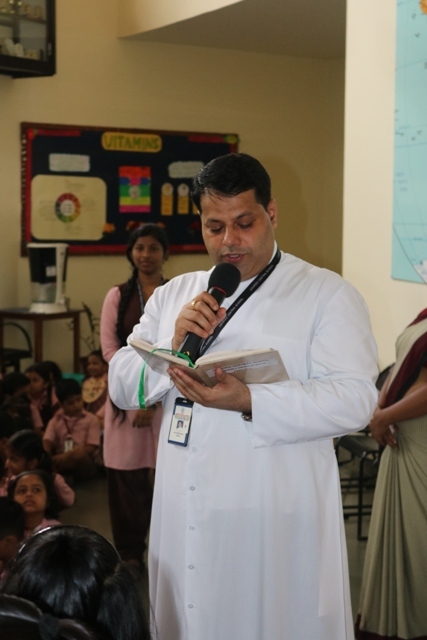 Fr Robert D’Souza and Vice Principal Ms Belita Mascarenhas. 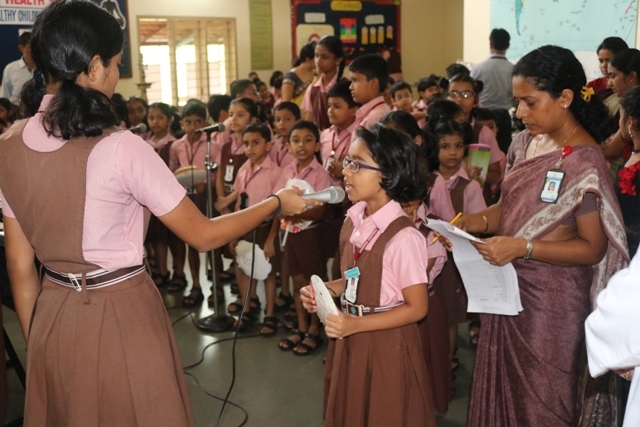 The overall teachers incharge of the programme were Ms Linet D’souza, Ms Harshita Shetty and Ms Meghana . 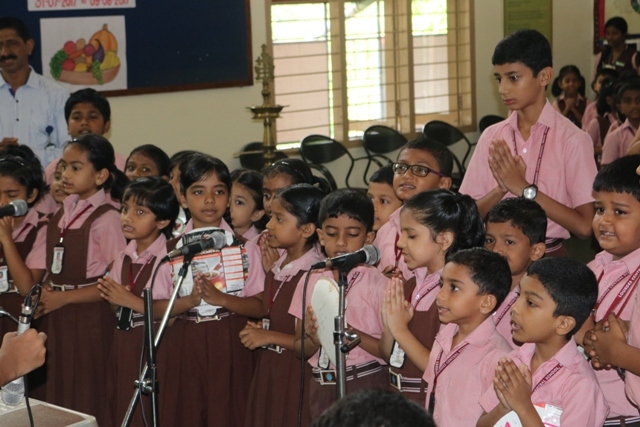 Father Principal quoted Gauthama Buddha’s quote –‘To keep the body in good health is a duty otherwise we shall not be able to keep our mind strong and clear’. 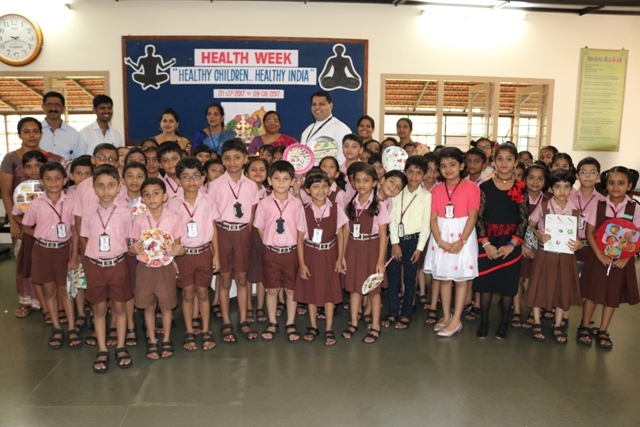 He wished all the children to keep good health so that they can concentrate in their studies and also gave tips on healthy living .He also appreciated the staff in charge who had taken up the task. 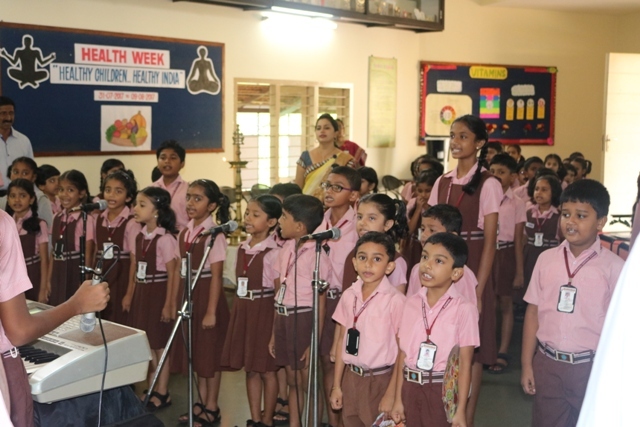 The inaugural assembly was conducted by class II students who sang a melodius song on health-‘Song of hygiene’. 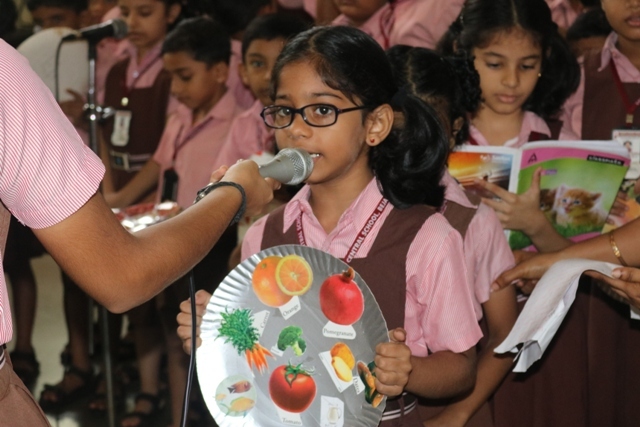 Students gave tips on ‘Healthy Breakfast’. 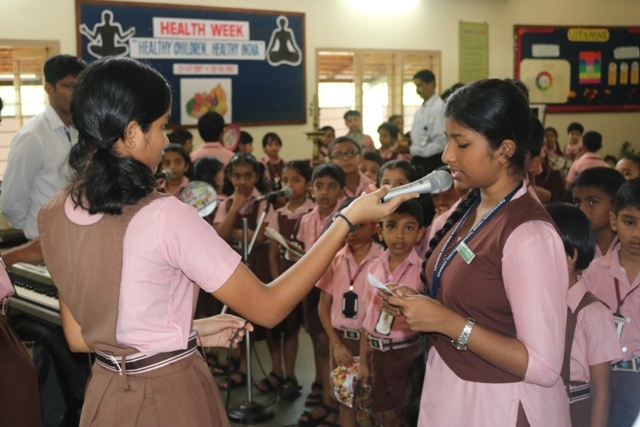 During this phase daily assemblies were conducted on the topics related to good health like nutritious food, importance of exercise, role of water in our diet, adverse effects of junk food and personal hygiene. 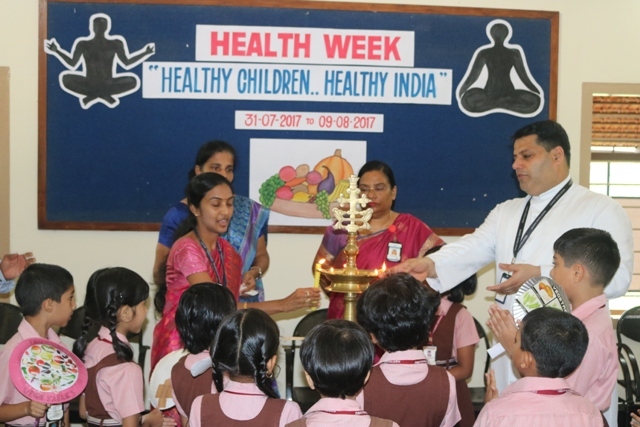 In connection with the health week for all the students from Kindergarten to class 12 ENT, Eye, Dental and General Health Checkup was organized from 31-07-2017 to 08-08-2017.Renowned doctors of KMC, Mangaluru conducted this camp. A special health check up- Fasting blood sugar and blood pressure, was also arranged for the teaching and non teaching staff of LCS on 01-08-2017. 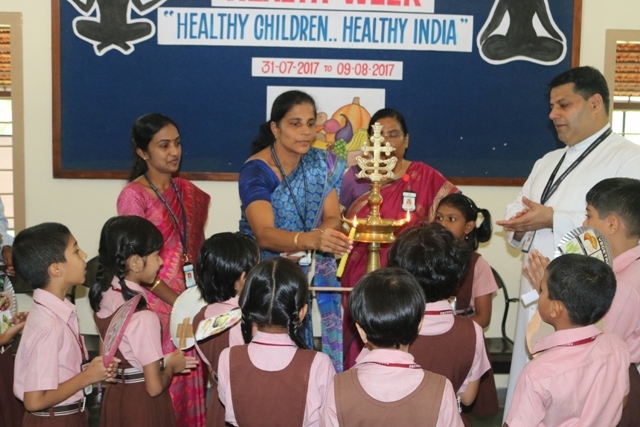 For class 4 a talk was held on 01-08-2017 on the topic –Personal Hygiene and Health Care by Dr Aruna Mallya, Dr. Anjali and Ms Lavina . On 03-08-2017 a talk was conducted for students of class 5 and 6 on the topic ‘Growth and Development in Adolescence’. 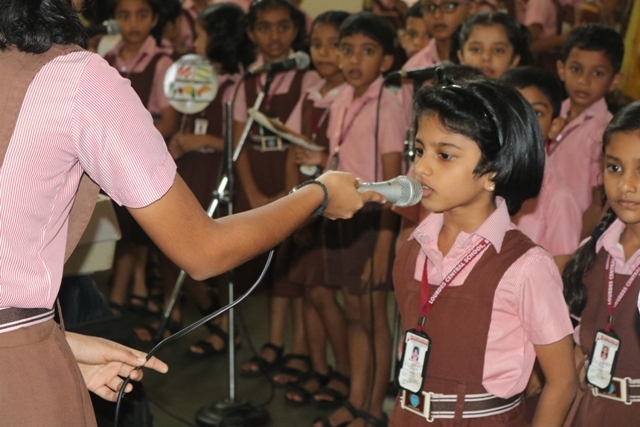 Mr Sukesh was the resource person for the boys session and Ms Philomena Fernandes was the resource person for the girls session. 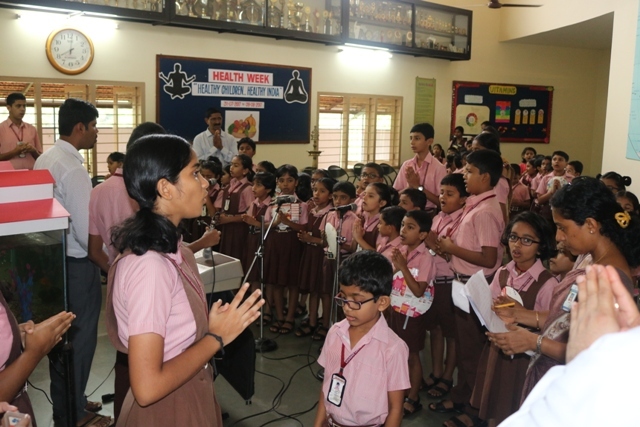 For the students of classes 7 and 8 a talk was arranged on the topic-Adolesence on 11-08-2017. 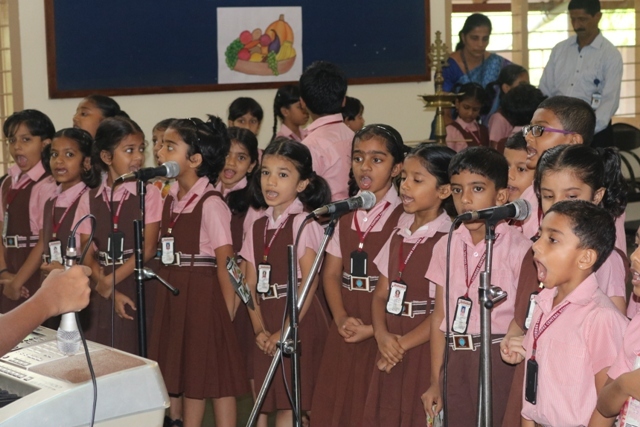 Ms Sujatha was the resource person. 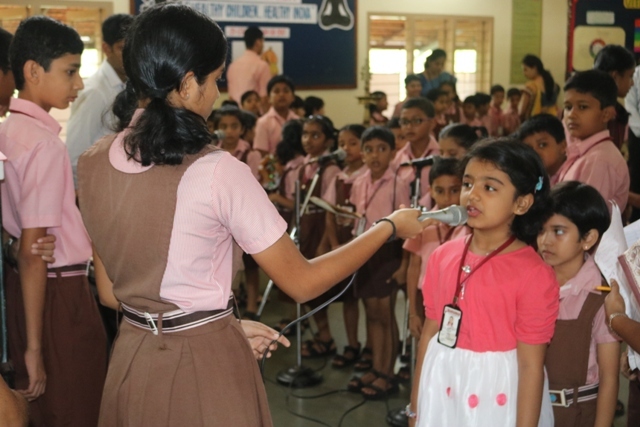 Students were highlighted about positive stress and distress, to be positive, physical activities, breathing exercise, recreation like active recreation and passive recreation and anxiety.